We hear more and more about anxiety and social media. Why? Because social media is uncanny in its ability to foster self-doubt. Among new technologies, social media have an unrivalled capacity to lead us into negative self-assessment and anxiety. Why exactly is that? 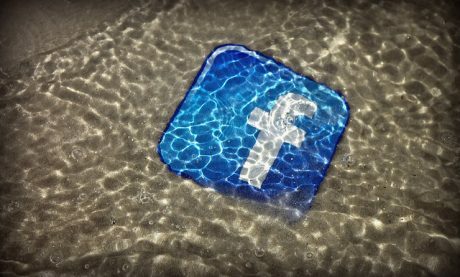 In this post, I look at social media through the lens of depth psychotherapy and Jungian psychology. What Do We Do to Ourselves with Social Media? Social media has a real effect on personality and sense of self. Research shows that predominant reasons for people going on to social media are to experience connection with others, and to feel a sense of belonging. Unsurprisingly, in an era when many people feel less of a sense of community, we often tend to gain a sense of social support through our networks. What Do Others Do to Us? However, there’s a powerful connection between using social media and comparing ourselves with other people. 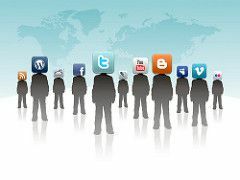 A body of research shows that, as Facebook users, we have a strong tendency to socially compare ourselves with others. Apparently, whether this leaves us feeling better or worse emotionally depends on whether we engage in “upward” or “downward” social comparison. As the research of E.A. Vogel and colleagues at University of Toledo shows, if we engage in upward social comparison, there seems to be strong evidence that it leads to negative outcomes for many users such as lower self esteem, and depressive and/or anxiety symptoms. On the contrary, if we compare downward, to others who don’t seem to have as much going for them as we do, apparently, we feel better. However, Vogel et al.’s research indicates that people tend to believe that other social media users have better lives than they do, and also indicates that Facebook users are more likely to engage in upward social comparison than downward. Whether “upward” or “downward”, all of this leads to a very important question: Why are we getting our self-esteem, or lack thereof, from comparison with other people in the first place? And how could self-esteem based on such a source be anything but flimsy? Another factor that strengthens the link between anxiety and social media is the extent to which social media reinforce social conformity and group think. UCLA Prof. Lauren Sherman and colleagues show that the same brain circuits activated by eating chocolate and winning at gambling are activated when teenagers see large numbers of “Likes” on their photos on social media, and that teens are far more likely on social media to like a photo that many others have liked than one with few likes. Such tendencies might be particularly pronounced in teens, but it’s highly likely that similar dynamics are at work in older populations, and contribute to the self-reinforcing “echo chamber” effects that reinforce conformity in thinking around political and social issues on social media. Depth psychotherapy actively engages with individuals in their uniqueness. It works with the deepest elements of the individual’s personality to find meaning and self-esteem in the individual’s unique being and unique calling, rather than through comparisons with others.